This piece is so beautiful. 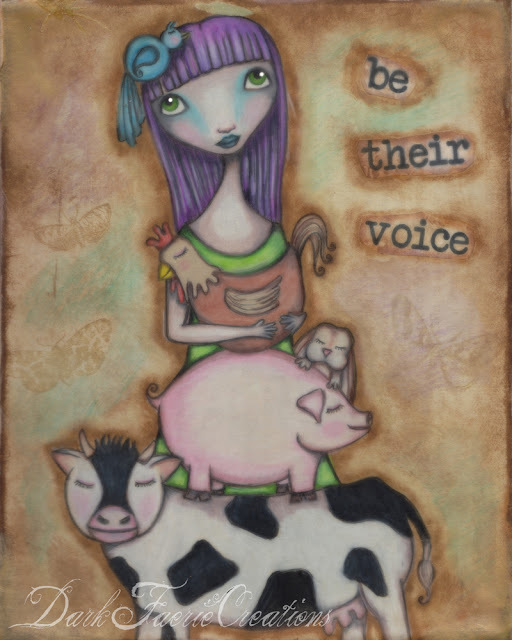 I love your vegan/animal rights themed pieces the best. I think your passion for the cause definitely comes out in your work! thank you Jessica! Baked goods and art are my favorite form of activism....it makes me happy and the positive feedback is such a wonderful feeling. I hope that my art will make a difference in how people look at animals.